How do you stand out from the rest of the pack, while trying to spend less and deliver better results? This paper examines 5 secrets to one overlooked media that is paying big dividends for organizations in a range of industries. 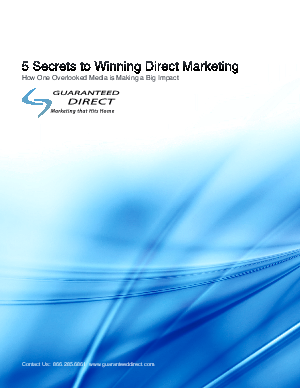 Become of aware of these new techniques for direct marketing and you'll be sure to stand out from your competitors.